I would build a Bf110G-2 with belly 37mm gun for my friend. When searching photos, I found an article building eduard's kit: http://modellboard.net/index.php?topic=37170.0 The author removed rear-firing MG81Z, replaced this area with a large tank. I don't understand German, in translator it reads"The central part of the tank of a 1:48 Revell-Eurofighter formed the basis for the tank of the GM-1 system. I built the cannon magazine in front of the radio seat out of round profile and plastic strips." Origin words: Das Mittelteil des Tanks eines 1:48er Revell-Eurofighters bildete die Basis für den Tank der GM-1 Anlage. Das vor dem Funkersitz liegende Kanonenmagazin baute ich aus Rundprofilenund Plastikstreifen auf. So GM-1 needs such a large tank? On Bf109 there's only a much smaller one behind cockpit. Although Bf110 consumes twice of Bf109...By the way, which fuel(or liquid) cap fits GM-1 tank? Historic photo of ZG76 indicates rear MG omitted, so it's a character of R1 conversion? Also WGr.21 reduced to one under each wing. ----------------------------------------------------------------------------------------------------------------------------------------------------------------------------------------------------------------------------- Editted BK3.7 based on Flak 18, same magazine-fed. So the crew needed to manually reload the cannon? So I had originally entered the Academy A-10 (Iraqi Freedom) kit in to this GB but unfortunately this has suffered from irreparable damage caused by me stupidly knocking it flying off the bench. After a fair amount of expletives and raised blood pressure, I have since gathered my composure and being the bigger man that I am have decided to continue with the GB but only this time with the following kit: This is a superb looking kit with some excellent detailing - particularly for the cockpit. It comes with a variety of options for paint schemes and I am drawn to 2 at the moment - either the one on the front of the box or this one: As always - your assistance and feedback on helping me choose the scheme would be much appreciated. So in the meantime I've made a start on putting the cockpit together in its basic form with a bit of detail painting in readiness for the washes and PE to go in next. So this is how things stand at the moment: I've follwed this up by getting the RLM02 base coat on the fuselage and undercarriage section on the wings: So more progress to follow soon - hopefully this time I'll be able to make sure that it stays firmly on the bench!!! Future Eduard releases, cheap @ MJW Models! Cheap Eduard 1/72 Bf110 kits anyone? 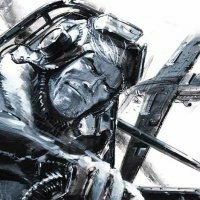 Luftwaffe 'mottling' techniques - where do I start? So I thought I would pick up something nice and simple to keep me going until my SU-33 & MiG 29 arrive from China. Browsing around the many excellent stalls at Bolton model show I decided upon this gem (£16): I have a 1/32 Eduard Bf109 E-4 on the bench which kind of swayed me to this kit, as I have found the Emil a nice model to build, apart from the shocking fit of the lower wing to the fuselage. ( I have had to strip the paint off the Emil as I found that Humbrol clear over Gunze Sangyo Aqueous is a non starter , I will probably paint both together to save on paint / time) Not knowing anything about this kit, I was pleasantly surprised when I opened the box to find 9 sprues and a photo etch set.... So much for the quick build. I am no expert on the Bf110 so I'm going to build OOB, there is more than enough detail in this kit. As for any inaccuracies with the kit, feel free to point them out and I may try to correct. I think I will go with this colour scheme: No being one to hang about, I have started on the pilots tub. The white lever is replacement after I had a dose of the death grips with my tweezers and the original is now the property of the Carpet Monster . Thanks for looking WildWeasel Finished article is here! Bf 110C-4 AX772, 1426 Flight RAF built for the Messerschmitt Bf 110 STGB . My first Group Build, and my first finished model for 2015. I have never built a German aircraft before, but a photo of a captured Bf110C-4 tickled my fancy. The aircraft is Bf 110C-4 AX772. This was originally a Luftwaffe reconnaissance machine brought down near Goodwood in July 1940. It was then repaired at RAE Farnborough, tested and eventually found its way to 1426 Flight RAF, the unit responsible for evaluating and demonstrating captured enemy aircraft. It would appear to have been painted in a couple of different schemes. I chose the later ocean grey/dark green over yellow colour scheme, which looks rather striking to me. Build thread can be found here. Brush painted with Tamiya acrylics with a final matt coat of Italeri Flat Acryl. Made grubby with the application of water-colours. Thanks to Dave for the reference photos and everyone else for the supportive and helpful comments - it really helped getting my modelling mojo back. Thanks for looking.